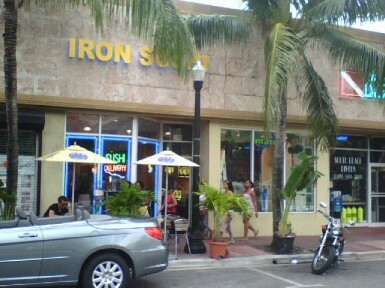 Despite is glammy reputation, South Beach has a surprisingly diverse array of enjoyable bargain eateries. Unfortunately, however, they’re often craftily sandwiched between tourist traps, well-hidden along alleyways and less-trafficked streets—and discernment between the real deals and the nefarious impostors can only come with experience and word-of-mouth recommendations. So, for those seeking a balance of budget and cuisine that really satisfies, here are some ideas. These are but 10 of the best choices for frugal dining, but there are plenty more to be found, especially along Washington Blvd. and around its corners. But remember, cheapness is only part of the equation. Truly good bargains must include a certain epicurean appeal, as well. In our contemporary landscape riddled with McDonalds, Burger Kings and Subways, inexpensive, assembly line food removes our hunger pangs with all the romance of a diet pill. In other words, given the choice of a locale where the pizza is hand-tossed, or one where it sits around for ages under heat lamps, the former offers more value for your buck. South Beach is a culture that delights in extremes, and the food options here reflect that; they either tend to come on plastic trays or under glass. It is the mid-range options that are hardest to find: those restaurants, which offer a little more than counter service, where two can comfortably dine for $50-$60. Maybe that’s why God made Broward County. Do you know of any good, cheap places to eat? Please share your favorites in the comments below. "A Handy Guide to Inexpensive Restaurants in South Beach"
My wife and I went to Puerto Sagua last Tuesday. It was also our first trip to South Beach. 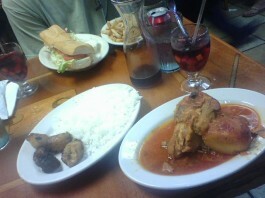 The food was very good, authentic, and inexpensive! Service was nice, and the place was packed with all types of people. The Half-Chicken meal could feed a family of four!! Will go back during my next trip. 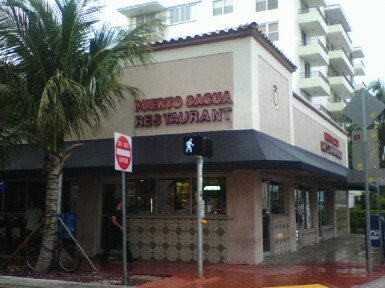 I found a really great and affordable place to eat and order for delivery from.It’s on 6640 Collins ave Miami Beach, FL 33141. 305.868.8282. Right next to Venezia Pizzaria. One of the best places we’ve discovered for atmosphere, value and an outstanding menu is the Turkish Grill between 10th and 11th and Alton Road. Everything is delicious, but we especially recommend the lamb shanks. Belly dancing on Saturday nights. mmm….Turkish sounds good! We need more Middle-Eastern food on the Beach! We discovered South Beach a year ago- we spent five days there and then went on a cruise- well we are going on another cruise and we had to go back to South Beach to San Loco Taqueria! 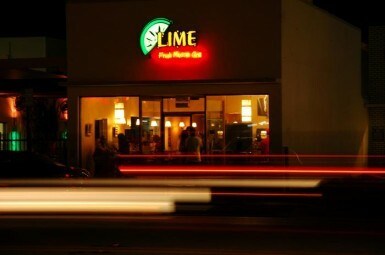 They had the best Mexican food for the money and their sauces were outstanding, the staff was also very friendly and helpful- I wouldn’t go back to SouthBeach with out planning to eat at this establishment! 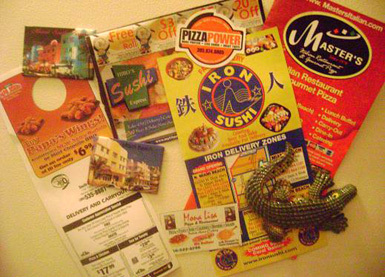 I can’t wait to try out these great places now that I’ve moved to Miami Beach. I’ve already discovered a favorite of my own: Lombardy Cafe at 6300 Collins. The chef makes amazing food, and the espressos and coladas are the best I’ve ever tasted. They also deliver check it out! Is that Lombardy cafe ever opened? WOW!!! THATS ALL I CAN SAY AFTER EATING AT THIS LITTLE AUTHENTIC MEXICAN TAQUERIA ON LINCOLN ROAD. THE FOOD WAS EXCELLENT AND CHEAP. THEY ALSO SERVE LIQUOR AT THEIR OUTDOOR SEATING. Skip Cafe Charlotte. My wife (from Buenos AIres) and myself stopped by this week based on the reccomendation here and it ranks with the worst food either of us have ever eaten. The skirt steak was soaked in grill grease and resembled a frozen steak-um from the grocery store but worse. The food truly bordered on inedible. The Baires Grill at the Lincoln Mall is a far better choice for real Argentine, albeit costing twice the price. $70 for dinner for two with an appetizer and desert and very, very good service and atmosphere. I know the idea here was inexpensive meals but you would be better off eating at McDonalds than cafe Charlotte. I can’t see how anyone could reccomend that place, truly horrible. Hi Mark, sorry you didn’t like my recommendation (note spelling). I stand by it, though, and have continued to enjoy visiting Cafe Charlotte whenever I’m on the beach. I suppose everyone has different opinions, which is good, because we wouldn’t want to all have to vie for seating in the same restaurants! Wow, Doug. You really had to correct Mark’s spelling mistake? How big of you..